WHAT WE DO: We manufacture high-quality, heavy equipment attachments. 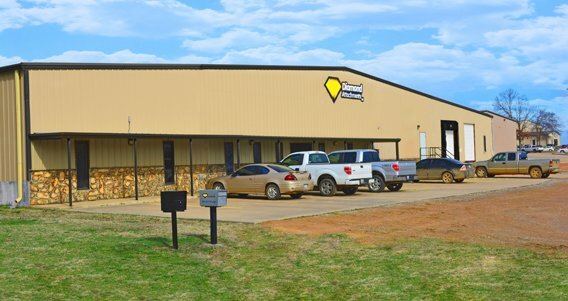 In 1978 Diamond Manufacturing was started, by Ronnie Cochran, just as a shop that built cabs for heavy equipment for a parent company named Southwest Tractor (swtractor.com). Diamond was started in a little building with limited room. The company grew into more than just a small company and started building other attachments including screens, rakes, and other miscellaneous attachments for more than used Caterpillar equipment. The focus was to maintain a reputation of producing high-quality attachments for a reasonable price for many heavy equipment brands. Craig and Keith Cochran, two of Ronnie’s sons, began working at Diamond to help design and sell these attachments. Keith is now the General Manager with Pat and Ronnie being co-owners of the company. In the past years, Tyler and Josh Cochran, Keith's sons, have begun working at Diamond to continue the family business into the next generation.